Take command of your mercenary forces in Atom Zombie Smasher. The zombie apocalypse is upon us and it's up to you to evacuate everyone before they fall prey to the undead. Conduct massive rescue operations with a helping hand from snipers, artillery crews, orbital bombardments, and more. Experience the tactical richness of fully-destructible environments and procedurally-generated campaigns. And when the apocalypse ends, create your own game mods and share them with the Online File Share. 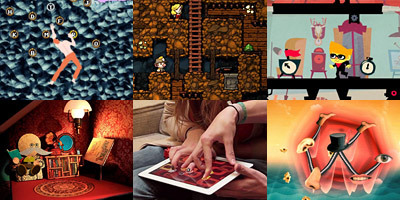 The Independent Games Festival (known on the web as IGF) is in full swing once again in 2012, with this years judges having just posted their picks for the honourable mentions and final placings. With our end of year events having just wrapped up it is nice to see that our personal selections mirror some of the judges selections Dear Esther, Frozen Synapse, To the Moon and Atom Zombie Smasher making the final cut. We will keep you notified once the winners have been announced but for now check out all the finalists below. Blendo Games know for their awesome artistic flare and charming game play styles have teamed up with Desura to release their catalogue of games! Year in Review Quarter 01 January through till March 2011. +Nice visuals for a 25 Mb game - fun comix full of jokes included. +Good soundwork - yet only one song. +Various team set-ups, from melee troops with rifles to military cannons wiping streets in seconds. +Community mods - I skipped that part but probably that's what should not let you get bored. -Gets boring after an hour or two. When i try to start it from the terminal, i get: "Corlib too old for this runtime." works fine for me in the latest version of xubuntu. Yeap. That'll teach me for buying a closed-source game built on Mono. I have this game on desura but any chance one of the devs would give me a steam key? This game is awesome and is one of my all time favorites! It's really, really, really fun. I made a short Let's Play with it, so why not check it out to decide if you should buy it or not? 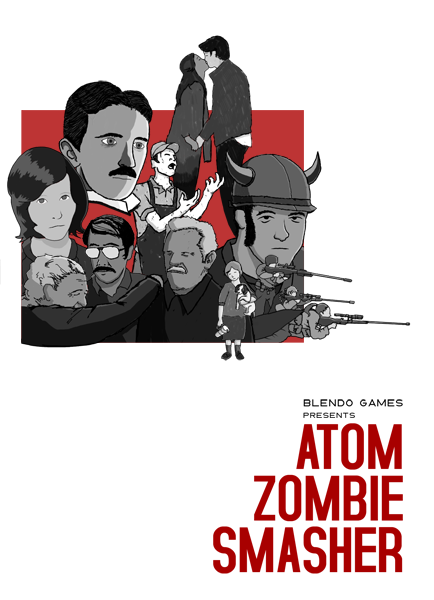 From the summary: "Take command of your MERCENARY forces in Atom Zombie Smasher." The idea that the heroes saving civilians from a zombie pandemic would be soldiers-for-hire makes me laugh. I have the game on Steam and loved it while the novelty lasted, but that merc thing always makes me smile. Payment? You want to talk about... PAYMENT!? Out there, right this second, there are little blue and yellow rectangular prisms fleeing for their lives down the streets of Simcity, being converted into purple rectangular prisms BY THE HUNDEREDS! Let's talk about what you're gonna do about that! You're gonna take your sorry little uh... 823rd Emerald Buffalos... heh, whatever! And you're gonna go uh... let me see that contract... you're gonna uh... deploy landmines, right... uh... deploy remote detonation explosives. Oookay that's a little bit better, i guess... and you're gonna... deploy barricades? Oooooh CHRIST! IS THAT ALL YOU"RE GONNA DO FOR ME!? Two useless things and one REALLY USELESS THING!? ARGH! I could just atom zombie smash your FACE IN RIGHT NOW!!! d1d u l1ke kow that gurls hav b0bes?!?!?!?!?!? I don't know why they are unable to distribute a working copy of atom zombie smasher. to the newest version. Please tell the official desura people about it.